Iran has started to disrupt the way that people can use the popular Telegram messaging app. In an official statement, Iran's net regulator said swapping images and videos via the service was no longer permitted. It said the move was likely to affect the "quality" of the app in the country. Iran's move follows continuing attempts by Russia to restrict use of the messaging system. Iran telecoms officials said Telegram's licence to site its servers in the country had been revoked and this meant the servers had to be moved outside Iran's borders and all in-bound traffic must now be routed through Iran's government-controlled net gateways. Telegram has yet to confirm that the blocks are in place or whether it has moved its technical infrastructure out of Iran. Telegram is believed to have about 50 million users in Iran and the app is popular because the way it scrambles messages makes it much harder for security services to scrutinise their contents. 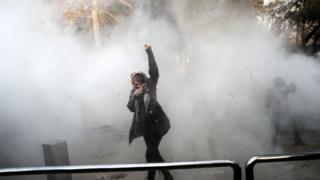 Iran's government has long been critical of Telegram and has said its use was behind a lot of anti-establishment protests in the nation. Earlier this week Iran's supreme leader, Ayatollah Ali Khamenei, shut down his Telegram channel, saying that this would help "safeguard the national interest". BBC Monitoring reports that this move was widely seen as a precursor to an outright ban. Government workers and officials have also all been told to stop using the messaging app. Instead, Iranians are being urged to use an alternative home-grown app called Soroush. In mid-April Russian net regulators blocked use of Telegram after the company refused to hand over encryption keys that would have let security services read messages. The wide-ranging ban has also hit other services that Telegram was using to ensure the app stayed available. Cloud services from Google and Amazon were among those knocked out.